We are also proficient in conducting a number of highly professional Photo Shoots for a number of our reputed clients. 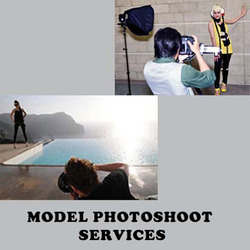 These Photo Shoots are ideal for modeling and other kinds of advertising purposes. Our team of experts work closely with the customers at all levels to ensure that all needs and specifications of our customers are judiciously met. GK Studios is the best Modeling photography studio in chennai, Our Fashion photography gives you the edge over other aspiring models to be. Not only we provide you confidence with our professionally made portraits. We will take mdelling shoot for new comers and create portfolio and maintain, and will use them for new coming ads.